BLOG DESCRIPTION: An adventure blog to guide you to all the hotspots on the islands of Hawaii. 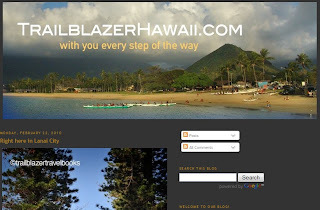 Hop onboard and follow the tracks of the Trailblazer Travel Book authors. Lyon Arboretum – it’s grrreeat! Consider adding this badge to your blog.